If you had the chance to see the new James Bond flick early, what would you say? No-brainer, right? Well, what if you were able to see new Bond flick while also benefitting a great foundation? Even more of a no-brainer. With the release of Spectre imminent (it opens wide on November 6th), Dignitas International — a non-profit dedicated to delivering crucial HIV/AIDS care in Malawi — is hoping to raise both funds and awareness for its cause by treating fans to an early preview, emceed by George Stroumboulopoulos. We spoke to Dignitas co-founder Dr. James Orbinski about the organization, the event and (naturally) his favourite Bond actor. Don’t worry, he chose well. Tell me a little about Dignitas International and its mission. We started the foundation in 2003, in response to the massive HIV/AIDS epidemic in the developing world. [Former Dignitas CEO] James Fraser and I cofounded the organization in order to work with communities in Malawi affected by HIV and bring the best of our skills to help support those communities. Now, 11 years later, we have started more than a quarter of a million people on full treatment and are running more than 160 clinics and three hospitals in the southern region of Malawi. We train about 500 new healthcare workers every year, and we’ve tested more than 1.4 million people for HIV. Dignitas has engaged in research initiatives to try to improve healthcare and healthcare delivery in the developing world. That continues to be a huge focus for the organization. We are now broadening our scope to continue other major global health challenges like Indigenous people’s health, climate change and more. How did you decide to focus the foundation specifically on HIV/AIDS in Malawi? Well, when we started in 2003, that was the number one priority in the world that was receiving the least attention, skill and application of time and energy. We decided that that’s where we would put our focus, in the same way that today the two most important areas that are receiving the smallest attention are Aboriginal health issues and climate change. Dignitas has done pre-screenings for Bond movies before. Why did you decide to forge a connection between the two? We have the same first name! 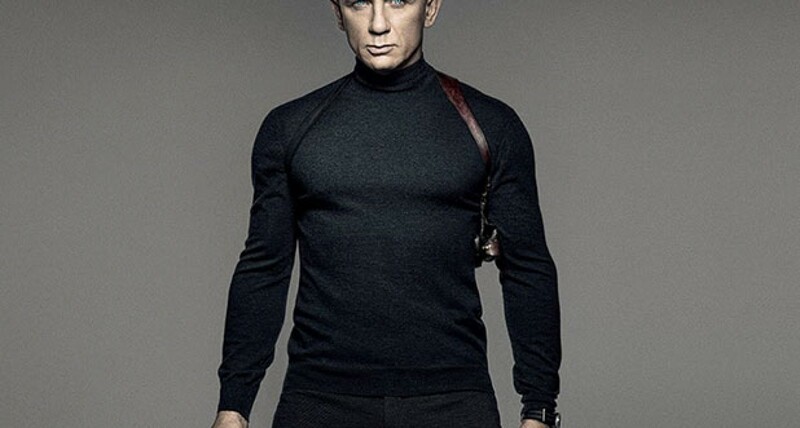 First of all, the James Bond brand is an adventurous, bold, focused kind of image. It’s the image of a person who uses smarts and energy to achieve results that have a massive impact. To me, there’s a huge similarity between what Dignitas has done and is doing and the image of the Bond brand. The one difference would be that Bond has that take-no-prisoners kind of approach, whereas our approach includes everybody in terms of how we want to help and improve our world. We don’t discriminate. I’d have to say Sean Connery. Absolutely Sean Connery. He’s the classic Bond. I’m really looking forward to the new one, Spectre. There’s been great commentary about it already and Daniel Craig is really a great actor. It looks like it’ll be very high energy. It’s always about looking forward and seeing what the new thing is. That’s the beauty about the Bond series, what one wants is the next film because of the success of the previous ones. What does the screening night include? One of the biggest things is that it allows you to tell the world that you love James Bond and you love Dignitas. That you did something about that love by giving support. How can people be a part of what’s going on? All of our advanced tickets are sold. That’s fantastic and we’re really happy. What people can do to support the organization is to make a donation through the website or by contacting our office. That’s a wonderful contribution towards the support that the organization needs.